A Close Call in Paris - Together, We Make Memories! One evening in Paris, I found myself staring transfixed at the full moon and the Eiffel tower. 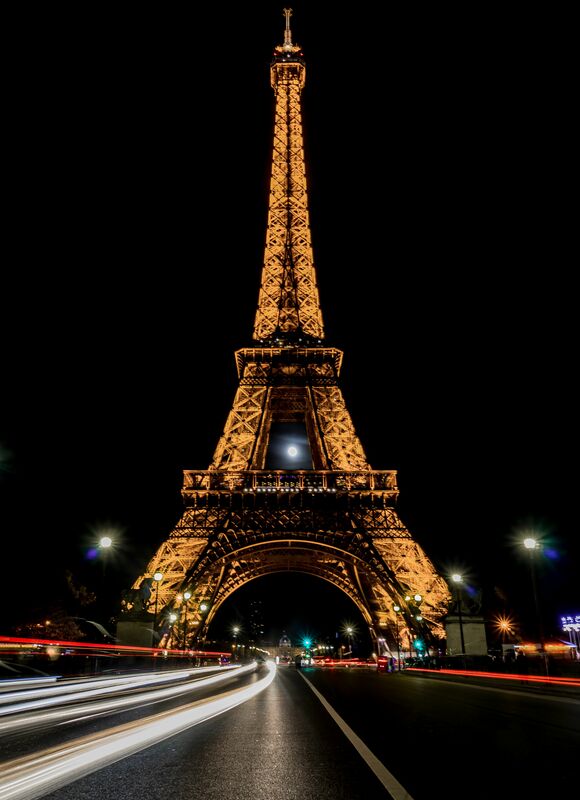 The Iron lady, or "La Dame de Fer" as she is affectionately known across the pond, is one of the most photographed landmarks in the world. Would it even possible to get a unique and creative shot? Soon it became obvious that the moon would pass right through the opening between the first and second floors of the tower. Awesome, except for one small problem: the only place to get that shot would be standing in the middle of the street on the Pont d'Iéna which connects the Trocadero to the Champs du Mars – in rush hour traffic.